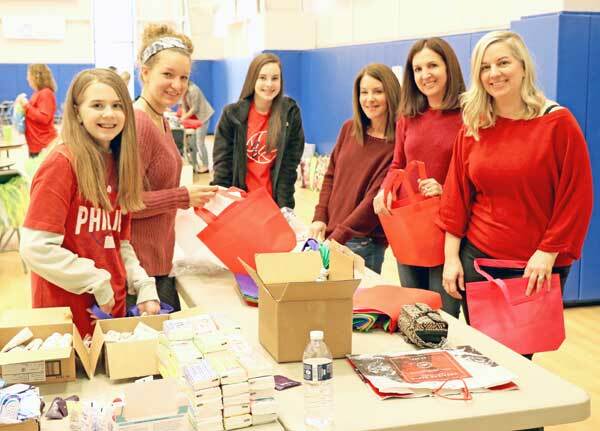 National Charity League, Inc. supports local non-profs with ‘Chapter-Wide Philanthropy Day’ - Times Publishing Newspapers, Inc.
National Charity League, Inc., Central Bucks Chapter (NCL, Inc.) held its annual Chapter-wide Philanthropy Day last month. Over 100 mother and daughter volunteers gathered together at the Community Center of Christ’s Home for Children to work on numerous projects in support of several of the chapter’s philanthropy partners. During the course of the day, volunteers assembled 45 sock rolls, including personal hygiene items, for Worthwhile Wear; compiled 2000 folders for Doylestown Hospital; prepared 178 meals for Aid for Friends; created 25 fabric door wreaths and made greeting cards for residents at Wesley Enhanced Living; made 25 tutus for the For Pete’s Sake Color Run; prepared 40 senior gift bags for Bucks County Opportunity Council’s monthly food delivery program; and played games and crafts with children at Christ’s Home. Additionally, the chapter collected four boxes of children’s books to donate to Cold Spring Elementary School. Members wore red and enjoyed heart-healthy games and snacks, and learned CPR to help raise awareness for women’s heart health. “This annual event is primarily planned and implemented by our daughters. 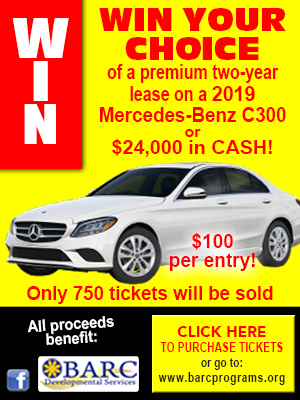 It is a highlight event for our chapter’s members who value this opportunity to support our community,” said Judi Cenci, NCL, Inc., Central Bucks Chapter Co-Vice President Ticktockers. The National Charity League, Inc. Central Bucks chapter currently has 247 members and provides hands-on volunteer service for 19 philanthropic organizations in the community. Members are women and their daughters (called “Ticktockers”), grades 7-12. Through this community service, NCL, Inc. develops socially responsible community leaders and strengthens the mother-daughter relationship. For more information about the NCL, Inc., Central Bucks Chapter, visit https://centralbucks.nationalcharityleague.org. PHOTO CAP: From left, Gianna Paladino, Elena Napoletano, Samantha Flynn, Tammy Flynn, Renee Feldsher, and Nicole Paladino prepare personal hygiene kits for distribution.